Posted on Wed, Mar 28, 2012 : 8:18 a.m.
A three-car crash was slowing traffic Wednesday morning on Interstate 94 near U.S. 23 on the southeast side of Ann Arbor. 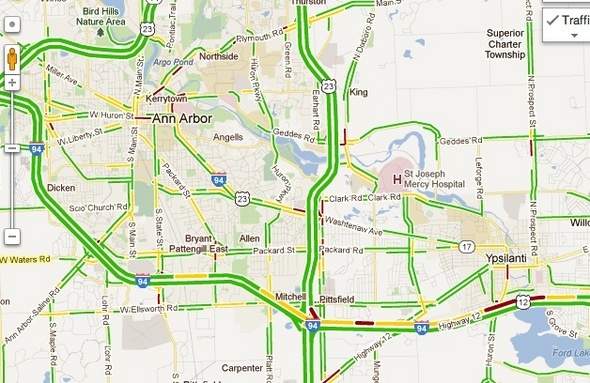 The crash occurred about 7:15 a.m. on westbound I-94 just west of U.S. 23, a dispatcher with the Washtenaw County sheriff’s department said. It was not clear if the crash was blocking traffic, but a Google map showed a significant traffic backup in the area. More information was not immediately available.